Paseo de Gracia, Barcelona as seen from El Corte Inglés in Plaza Cataluña. 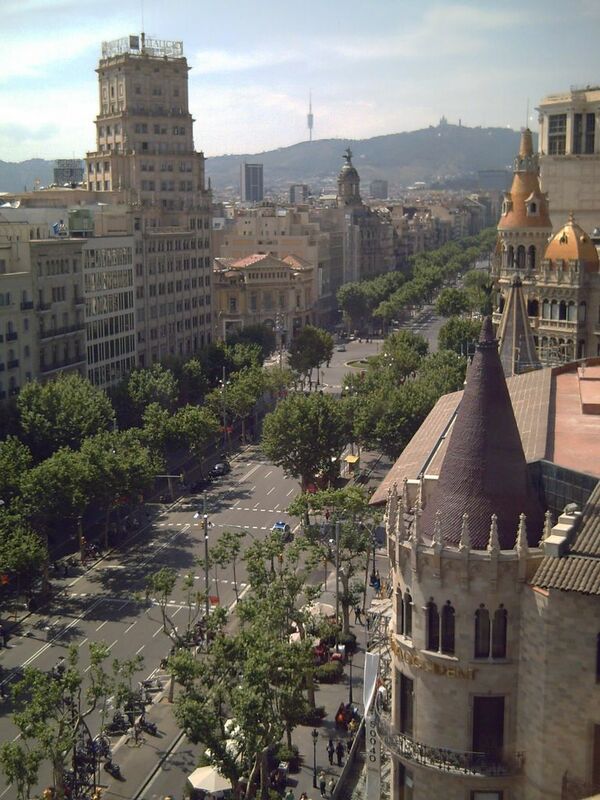 For a while i tought i was in Barcelona, this view is full of grandness Carlos. Seems like Barcelona is in a plane, this is good for biking. i like the buildings are not too uniform and the one in the foreground seems like castle in disney land . Wow! This is a wonderful mid-day shot that pulls us right into the picture. Anther fairy-tale-like setting (see Paris Daily Photo for that conversation). We have no scenes like this in Seattle! You are my hero! You made the shot just big enough to leave a very lasting impression. Stunning Carlos! Thanks for all the inspired comments. As you notice I am not working at full gas, I am giving myself some sort of mental break. I will try to crossexamine your photographs and leave some comments. wow, what a view, great shot Carlos! a very well composed, sharp and clear and interesting image.